Until now, continuous insulation systems haven’t considered wall openings, they’ve been solely designed for the “field-of-the-wall”. This created a vulnerability from thru-wall metal connections. Exterior trim to interior framing at the wall opening locations has resulted in thermal inefficiencies. 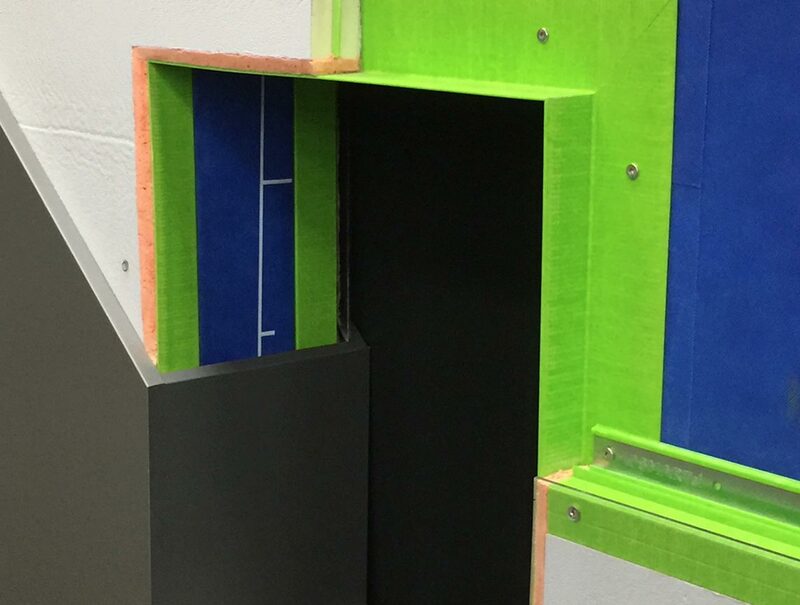 SMARTci Trim solves this problem by replacing the thru-wall metal connection at wall openings with a composite profile for finish flashing attachment. This will bring thermal equilibrium with the balance of your continuous insulation wall system and provide energy savings, building compliance and a healthier building for you and your customer. SMARTci TRIM is a complete solution for the heat loss at windows and curtainwall transition details. It eliminates thermal bridging – providing best practices for thermal efficiency. SMARTci TRIM is an FRP composite providing a complete solution for the heat loss at windows and curtainwall transition details. It eliminates thermal bridging – providing best practices for thermal efficiency. Exterior trim to interior framing at the wall opening locations has resulted in thermal inefficiencies. In fact, efficiency can be reduced to 25% in the area of the wall cavity surrounding the opening. In other words, your R-19 rated wall may have an efficiency of R-5, along with the associated dew point problems inside the cavity around the wall openings.